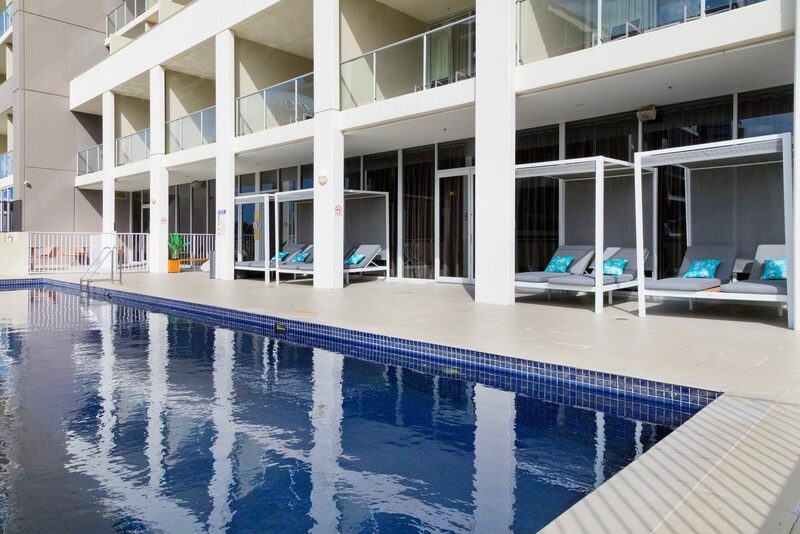 Experience and delight in the simplicity of Sage Hotel Wollongong. Sage Hotel Wollongong is an hour’s drive from Sydney. 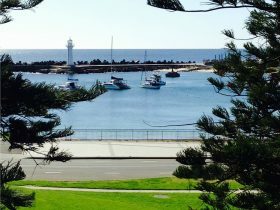 Located along the scenic New South Wales South Coast, the hotel sits on Wollongong’s foreshore and is adjacent to the WIN Sports and Entertainment Centre. You can enjoy the relaxed coastal vibe or wine and dine in the city centre. 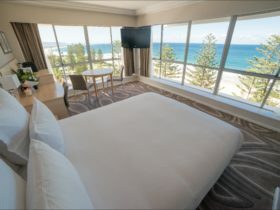 The hotel is only a short walk to Wollongong’s City Beach, vibrant restaurants and cafes, and fabulous shopping at Wollongong Central and Crown St Mall, making it perfectly suited for both business and leisure. 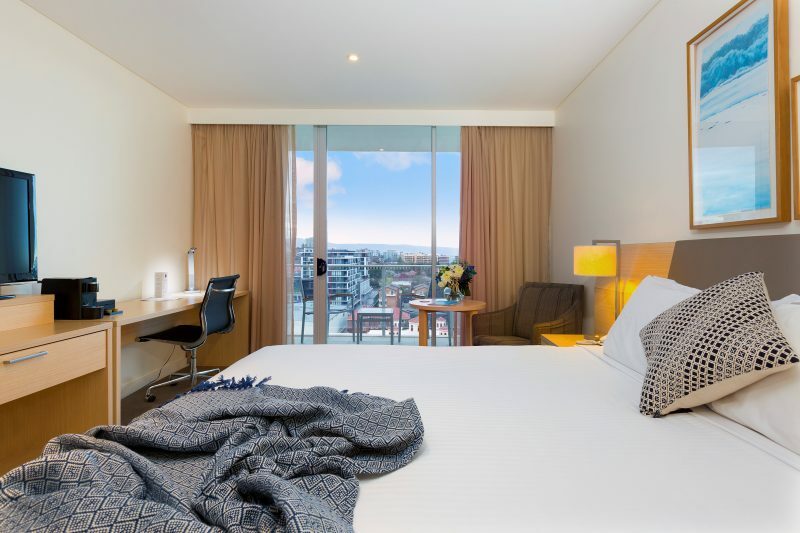 Sage Hotel Wollongong features 168 guest rooms and suites which boasts free WiFi, in-room safe, 40 inch flat screen television with free to air digital television. The hotel is also home to Coldwater Creek Restaurant and Bar. 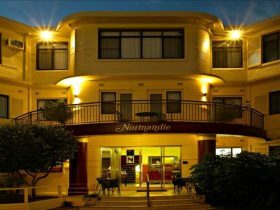 Family Suites are located on the north facing side of the hotel, overlooking Wollongong central business district and escarpment. This suite includes a king zip bed (or two singles) in the main bedroom with 40 inch flat screen television, and private balcony. The main bedroom has an adjoining lounge area with a lounge set, a second flat screen television, a second private balcony, mini kitchenette with microwave, basin, mini refrigerator, cutlery and crockery, and a five piece dining setting. Room features include free selected Foxtel channels, walk-in shower with separate bath, spacious built in wardrobes, in room safe, hair dryer, mini bar, free WiFi, cable internet, air-conditioning, iPod docking station, desk, 24 hour room service and more. The Sage Suites are the luxury style, open plan rooms of the hotel. Located on each corner of the hotel on level 11, the Sage Suite features a king bed or two singles, large open plan spacious design, 40 inch LCD television, free selected Foxtel channels, iPod docking station, mini bar refrigerator, floor to ceiling mirrors, desk and chair, spacious bathroom with walk in shower, bath spa, double vanity in the bathroom, and open comfortable lounge area. Relax and unwind on the large balcony with a five piece outdoor dining set, and sun lounges accompanied by a coffee table over looking some of Wollongong’s spectacular views. Sage Suites face either north or south. 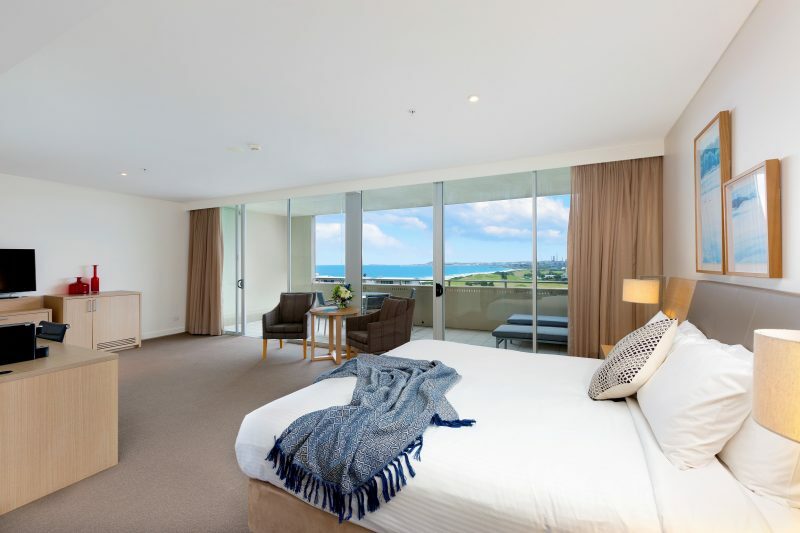 Deluxe Queen rooms are located over-looking the Wollongong Golf Course. The room features a queen bed (or two king singles), walk in shower, free WiFi, 40 inch LCD television, free Foxtel, hair dryer, in room safe, remote controlled air-conditioning, cable internet, mini bar refrigerator, desk and chair, and tea and coffee making facilities. There is no balcony in Deluxe Rooms, but the windows open and allow fresh air into the room. Perfect for the quick overnight stay. 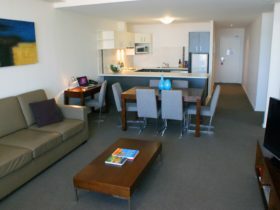 Executive Suites are on the northern side of the hotel, and over-look the Wollongong central business district and escarpment. Stretch out and relax in the Executive Suite as the room is quite spacious featuring one king zip bed or two singles. This room allows for single, double, twin or triple share configuration (triple share by adding a rollaway bed to room – additional charges apply). 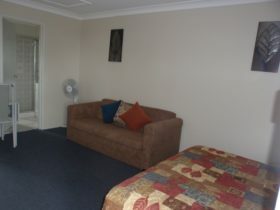 The room includes 40 inch LCD television, free Foxtel, iPod docking station, walk in shower, separate bath, double vanity in a spacious bathroom, free WiFi, cable internet, mini bar refrigerator, tea and coffee making facilities, in room safe, hair dryer, remote controlled air-conditioning, desk and chair. Maximum occupancy is three guests. 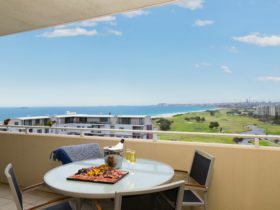 Executive Balcony Rooms are located over-looking the Wollongong Golf Course or the central business district and escarpment. The room features a king zip bed or two single beds. This room allows for single, double or twin share configuration. Includes a walk in shower, separate bath, 40 inch LCD television, free Foxtel, in room safe, hair dryer, remote controlled air-conditioning, free WiFi, cable Internet, desk and chair. Balcony includes small coffee table and two outdoor chairs. Executive Balcony rooms are affordable if you just want to get away for the weekend, and relax on your private balcony.